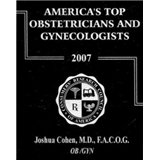 Joshua Cohen, M.D., FACOG (San Diego) - Book Appointment Online! Dr. Cohen was very friendly and made me feel very comfortable along with his staff. Great service!